Washington – Liberians dreaming of traveling to America are likely to experience disappointments and rejections after a Politico report, citing a Department of Homeland Security official, Monday suggest that the White House is weighing travel restrictions for nationals of countries with high rates of overstaying visas in the United States. 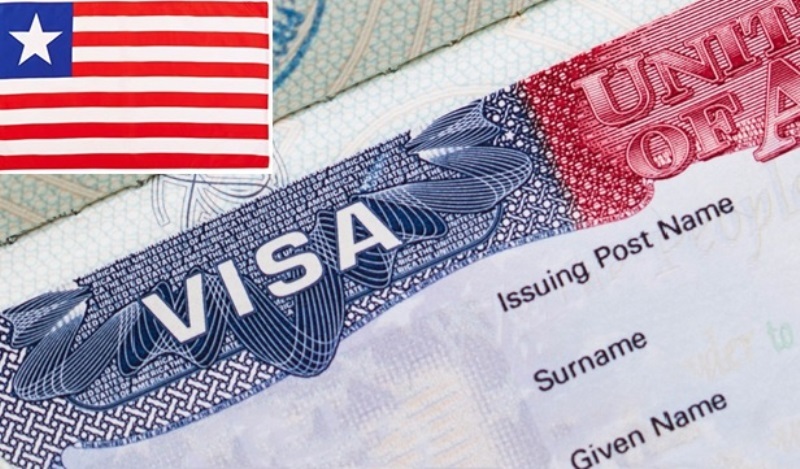 According to reports in both the Wall Street Journal and Politico, Liberia, Burkina Faso, Djibouti, Eritrea, Somalia and South Sudan have the highest rates of overstaying short-term tourist and business visas, although they send relatively small numbers of travelers to the U.S. each year. The report notes that the US action which was confirmed by a congressional staffer, comes amid a leadership shakeup among Trump’s top immigration staff. Homeland Security Secretary Kirstjen Nielsen left her post last week and three other officials recently resigned or were pushed out. The departures clear the way for the White House to implement a range of new enforcement measures — including the prospective travel clampdown. President Trump, in a January 2018 meeting referred to Haiti and some African nations as “shithole countries“ and questioned why their nationals should be admitted to the U.S.
White House spokesman Hogan Gidley is quoted by the Journal as saying that reducing overstays remains a priority for the administration. The White House could issue a related presidential proclamation as soon as this week, a Homeland Security Department official told POLITICO. Politico reported Monday that President Trump has focused intensely during his presidency on the flow of migrants at the southwest border, but devoted little attention to the hundreds of thousands of migrants who overstay a visa each year. In 2004, Congress called for the development of a biometric system to track arrivals and departures from the U.S. Successive administrations — including the current one — have failed implement biometric exit tracking, although Customs and Border Protection has conducted several pilots. In Liberia, some applicants in recent months have reported a high-wave of rejections for visas, signaling a changing trend for many eyeing reunion with families, short-term visits or medical attention.